Every year alumni, undergraduates, Friends of Beta, and Beta Parents support the Beta Foundation. Your contribution helps advance the educational mission and goals of Beta Theta Pi toward the vision of the Fraternity. To make a gift to the Beta Foundation, choose one of the many giving options below. The BLF is the Foundation's biggest need because it provides the financial resources that staff and operate the Men of Principle initiative, the Fraternity's award-winning leadership programs, the educational Foundation and important alumni outreach activities. Click here to read more about the BLF. The JRK Club is the premier annual giving club of the Beta Leadership Fund which honors Beta and friends who provide annual gifts of $1,500 or more. All members of the Club are invited to a the JRK Club Recognition Dinner held at the Beta Convention annually. To read more about the JRK Club, click here. The BBS recognizes Betas or Friends of Beta who have included the Fraternity in their will or estate plans, and this type of gift is an excellent opportunity to leave a legacy for those who follow. 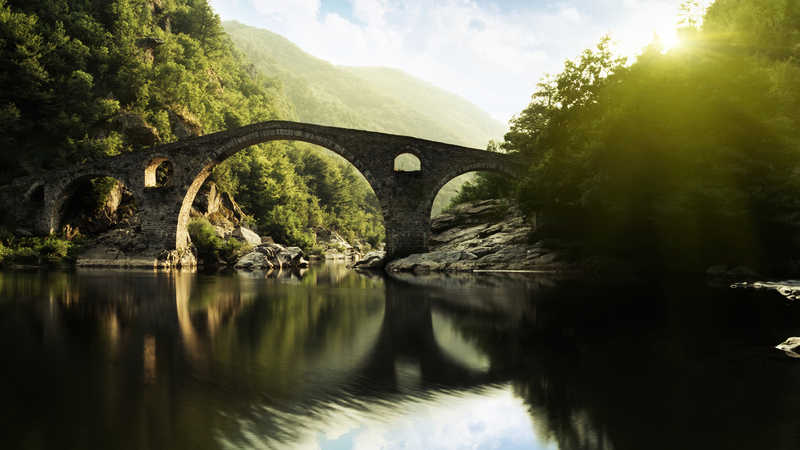 To read more about joining the Bridge Builder Society, click here. Each year roughly 425 undergraduates need sponsorships to attend the John and Nellie Wooden Institute for Men of Principle. Your $650 gift will give one undergraduate a leadership development experience he will never forget! Click here to read more. Interested in doubling or even tripling your gift to the Beta Foundation? Many employers provide matching gift incentives programs for their employees. To read more about the matching gift program, click here. 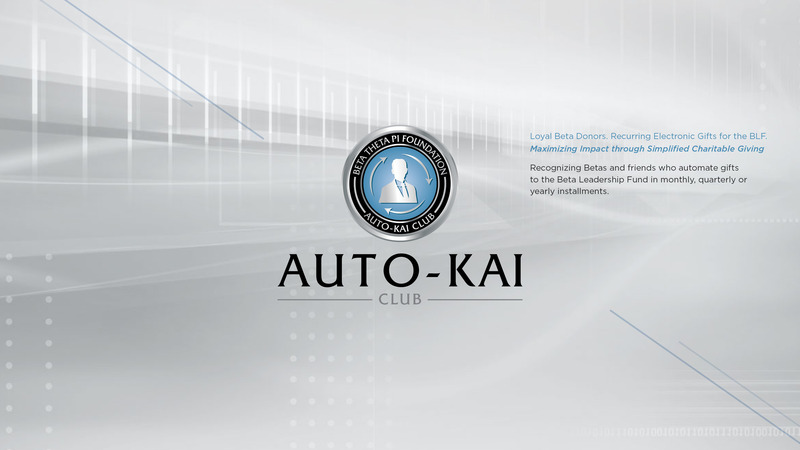 The Auto-Kai Club recognizes Betas and friends who establish recurring electronic gifts to the Beta Leadership Fund in monthly, quarterly or annual installments. The Auto-Kai Club benefits the donor AND the Foundation by breaking down one’s giving into manageable amounts, limiting the number (and cost) of solicitations and by maximizing the impact on students year round. To read more about the Auto-Kai Club, click here. 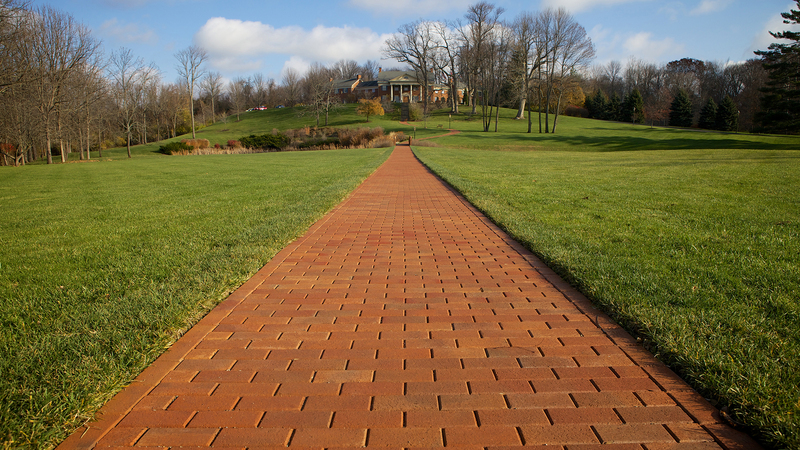 BLF gifts of $350 or more will honor you (or a person of your choice) with a commemorative brick in the walkway and memorial gardens at Beta's Foundation and Administrative Office in Oxford, Ohio. Click here to read more about the Brick Walkway. 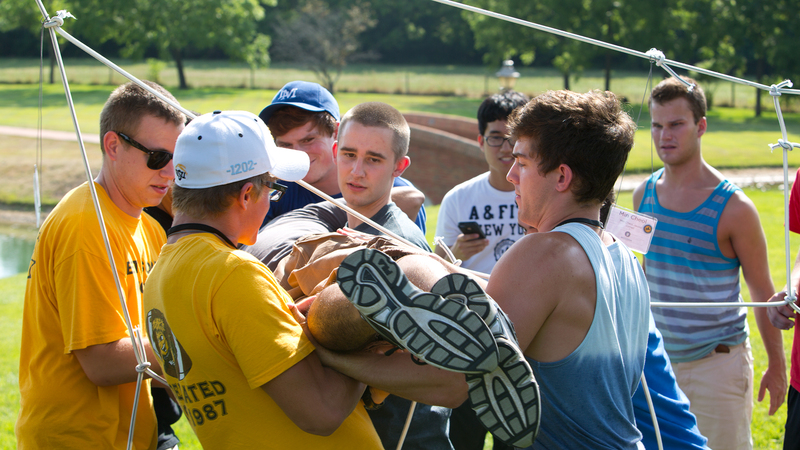 The Sons of the Dragon Club is the Foundation’s undergraduate-only giving club. 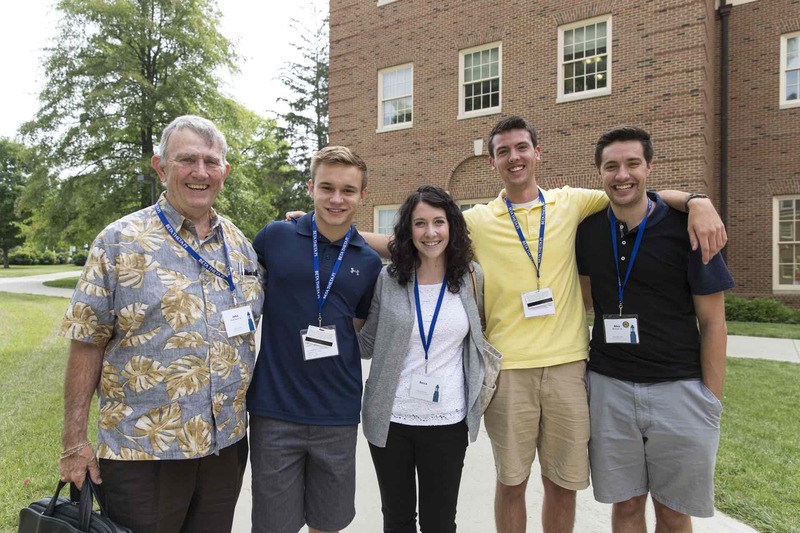 Undergraduates are encouraged to join annually by making a BLF contribution of $18.39 or more, and members will receive the annual membership apparel item. Click here to read more about the Sons of the Dragon Club. Beta Parents, family members, Fraternity/Sorority professionals, and other Friend of Beta (FOB) volunteers support the Foundation annually because they believe in our mission of developing men of principle for a principled life. Click here to read more. Receive a tax-deduction through a charitable stock gift to the Beta Leadership Fund. 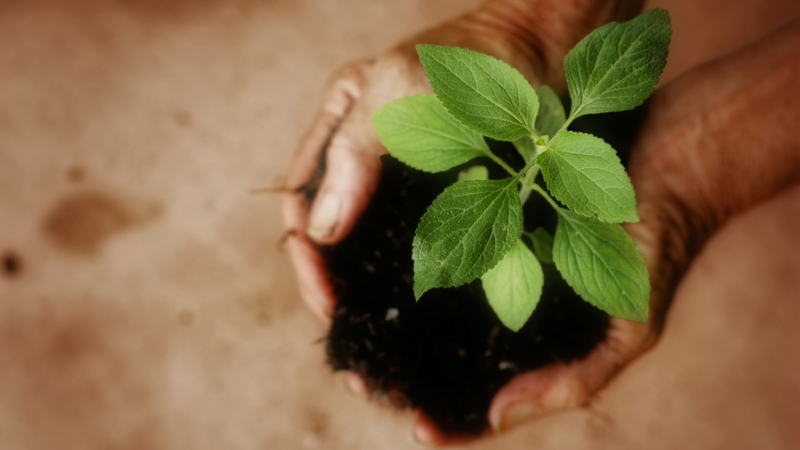 Donors can make a big impact by donating appreciated securities including stocks, bonds, and mutual funds directly to the Beta Foundation.